Our firm is dedicated to Building A Safer Environment in all design endeavors through practical measures to improve safety & security. In 2016, we began a safety and security initiative called Building a Safer Environment (B.A.S.E. ), resulting from years of research and real-world experience surrounding strategies to create safer environments. Our ongoing research includes reviewing local and national standards, analyzing case studies, lessons learned from previous design experience and teaming with Tier One Tactical Solutions, LLC. B.A.S.E. focuses on how to make public buildings, in particular – schools and libraries, safer. We have developed an interactive, free presentation that walks staff members through a series of scenarios and building layouts to better improve security and safety. Each presentation is catered to the building type – school or library. We have also developed a comprehensive safety and security evaluation that can be implemented on a districtwide basis or on an individual building. Our evaluation identifies vulnerabilities and potential threats to protect against active shooter incidents. The results are documented in a report which details observations and offers options for improving the safety and security of the school. To schedule a free presentation or to learn more about our safety and security evaluation, email us at info@bondarchitectsinc.com. Principal Art Bond presents our B.A.S.E. initiative to local schools. Bond Architects has been invested in the Missouri school community for over 26 years. More than 80% of our work is in the field of K-12 Education design, with projects in more than 110 schools in 26 districts. But most importantly, we are parents of children that attend schools throughout the St. Louis metro area. Schools are places for children to learn, grow, and thrive. Unfortunately, they have also become targets for acts of violence. 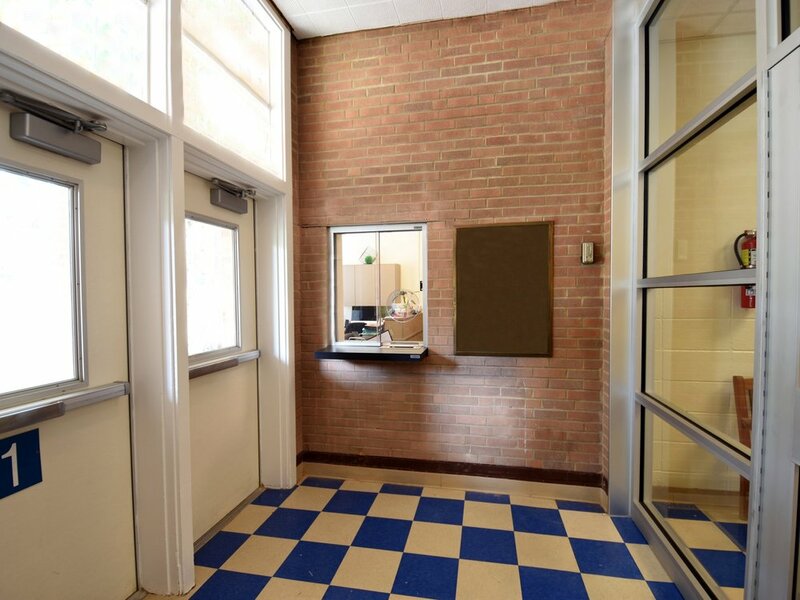 Design can play an important role in providing a safer learning environment. 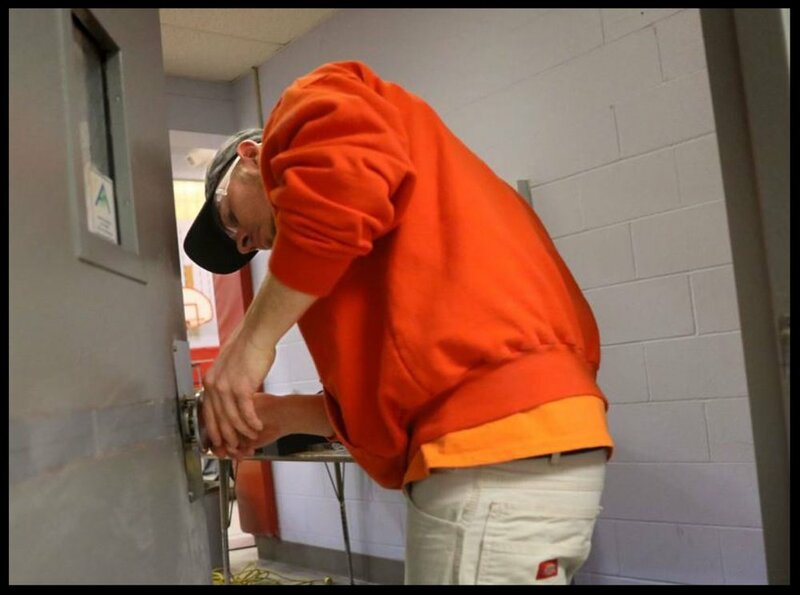 While safety and security must be an integral part of every school, there is a balance between adding security without giving the appearance of fortification. Our free 30-minute presentation to school district administrators covers a wide variety of scenarios and design upgrades to address this important balance. Currently, we have presented B.A.S.E. to more than a dozen regional schools and continue to schedule bookings. In addition to our presentation, our comprehensive safety and security evaluation has been implemented at more than 14 schools and is in the process of being implemented at several additional buildings. View our B.A.S.E School Safety White Paper for more information on B.A.S.E. and how to keep our kids safe in school. *Note – Client/School names have been removed to protect the safety of students. We respect the wishes of the schools to preserve their safety and security information to ensure these details do not reach individuals who wish to cause harm. Example of improved floor plan. For library buildings, how can staff possibly create a safe space while simultaneously opening the doors to everyone? Is it possible to improve safety while still making your Library welcoming and functional? In a word, yes. By taking a few key steps, your library can remain a welcoming, fun place for patrons of all ages while keeping their safety a top priority. 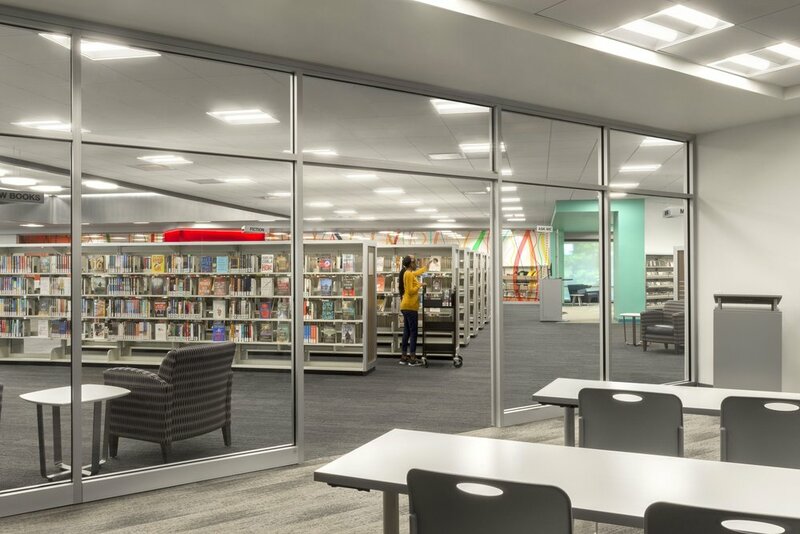 Bond Architects has provided design services to nearly 50 libraries, including many upgrades to safety and security such as access controls, realignment of stacks, reorientation of service desks and much more. We are currently conducting ongoing research to provide additional avenues for improved safety and security in libraries. Each library is unique, and we would love to meet with you to build a custom plan for improvements at your branch. View our B.A.S.E. Library White Paper for more information on simple steps to realign and reassess safety and security in your local library. *Note – Client/Library names have been removed to protect the safety of patrons. We respect the wishes of the libraries to preserve their safety and security information to ensure these details do not reach individuals who wish to cause harm. During the past 8 years, I have worked with Bond Architects on various projects, both large and small. They bring the same level of focus and intensity to all our projects. We share a very open and collaborative relationship with Bond Architects. Their communication is very strong, and we appreciate the fact that they come to us with recommended solutions if we run into issues in the field. They listen extremely well, take input and feedback, and most importantly - meet schedules and budgets. I have enjoyed working with the firm and will be pleased to continue to do so in the future. Should you choose Bond Architects for your project, you will not be disappointed. Our project work with Bond dates back to 1994, and they continue to take a holistic approach to ensure that all needs are met for the District and our community. Their work is technically proficient and highly professional. Strong lines of communication are the highlight of our working relationship. Their personalized service and attention to our needs have been incredible. Bond is accessible to us and always eager to find a solution. I am able to call at any given time with questions or concerns and consistently receive courteous, prompt response. I highly recommend the services of Bond Architects. They provide a strong, skilled team and are truly a pleasure to work alongside.